We make your current tile showers, tub surrounds, kitchen back-splashes, countertops and floors look and feel new. We fix damaged tile, change the color and permanently seal your grout lines. Your tile will look awesome and will be easy to clean! Save up to half of the cost of replacing those tiles! Get it done fast – your project will be complete in just a few days! Extend the useful life of your surface decades with proper care and cleaning. Does your grout look awful? Is it hard to clean or is it cracking? J’s Restoration can help. We take care of your issues by repairing and cleaning the grout. Once we’ve prepared the surface we refinish with our high tech acrylic resins. This completely seals the grout lines solving cracking and musty grout for good. Get the beautiful look of stone tile without the hassle of cleaning and fixing grout lines. Are any of your tiles damaged or missing? We can fix those issues before we refinish giving you a surface that looks and feels new.  Not all restoration is the same! We use high-tech acrylic resins, not paint, on your tile. The critical difference is getting the new finish to stick to the old surface. Since our process is superior, our surfaces look better and last longer!